The much-awaited conference of cloud enthusiasts – Container World 2019 is just around the corner. MSys will be attending the high profile event from April 17- 19 at the Santa Clara Convention center, California. Container World is a one of its kind conference focusing on the complete cloud-native ecosystem from the enterprise standpoint. It is the only vendor-neutral event to delve into strategic business questions, and technical intricacies of rolling containers into production. 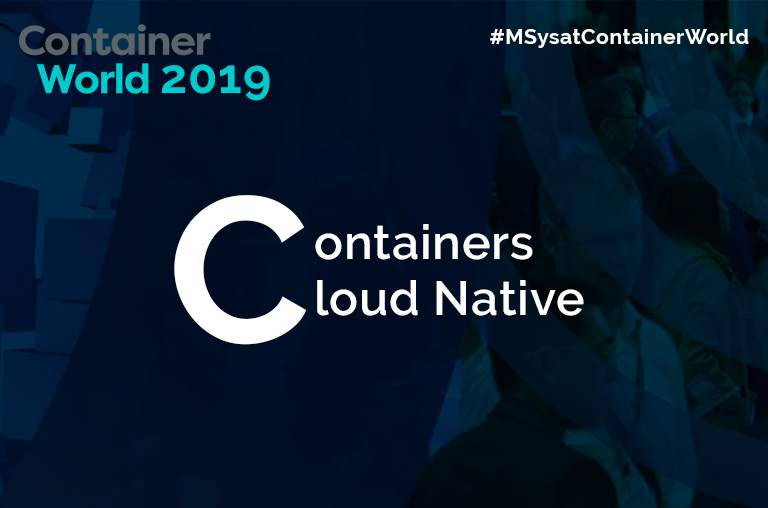 Container World 2019 specifically focusses on the disruption cloud-native technologies bring to enterprise IT. Attending Container World is an excellent opportunity to network and learn about best practices and advice from your peers and competitors. The Santa Clara Convention Center is approachable by three airports viz., San Jose International Airport (5.4 miles), San Francisco International Airport (31 miles), and Oakland International Airport (33.1 miles). In case you haven’t zeroed in on your travel plans yet, you need to make a move. Right now! The event attracts thousands of engineers and business leaders, and so last minute travel plans would leave you in a lurch. The official Santa Clara Convention Center website has a list of featured hotels that you pick to stay. You may want to choose one which is within a mile’s walking distance, as that will save you time (and money) to travel to the venue for the three days. You can consider using some of the available public transportation options to make travel simpler. Packing for any trip can be overwhelming for some. It always helps to create a to-pack list before you get to it. This is especially essential if you’re a first timer to Container World. As with most conferences, you will need to pack clothes that are suited for a business environment. However, events like this tend to be lighter and do not stress on strict business formals. You can aim for business casuals, with maybe a suit added in (for after hours). As for footwear, trust us, do not wear anything new, uncomfortable or anything too casual. This is because you would be on your feet most of the time during these three days. The keynotes of Container World offer some of the “key” data and information that you’ll want to know. This is where noted experts set the underlying tone and summarize the core message of the convention. Container World has lined up some of the best names in Container and related technology practices to deliver these sessions. It is advisable to pack a note-taking kit or laptop whichever is feasible to take notes here. A brief Q&A round succeeds every key session. This is probably one of the rare opportunities to get your questions answered by the leaders of the industry- we’d recommend you go prepared beforehand with some questions. The keynotes are always a packed house, with techies scrambling to get the best seats in the house. So if you want to sit anywhere near the front, get there early. It’s not every day you get to attend a tech “fest” like this. Your peers from around the world, with some of the legends whose work you follow closely, in the same room at the same time, is nothing less than a big party, trust us. Talk to the person on the next seat in between sessions and find out what drove him or her to be here. Walk up to a group of fellow attendees over lunch and see what they think of the sessions. Connect with them through the social accounts to make your impression last that much longer in their minds. Once you’re back from the conference, send a follow-up email within a day or two to the people you met and any potential collaborators. To help the person remember you, make a mention of the conversation you had, for example: “I enjoyed talking to you after Wesley Chun’s keynote lecture at Container World.” Apart from emails, you can also stay in touch and further strengthen your professional relationship through LinkedIn. As you will be away for three business days plus traveling, you ought to set an out of office reply (or a delayed response reply) for your co-workers, clients or anyone who may want to get in touch with you during this time.